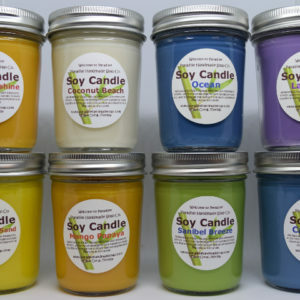 Serving Southwest Florida Farmer’s Markets Since 2008 - Cape Coral, Captiva Island, Lakes Park, Sanibel Island selling handmade products, handmade soap and soy candles. Our natural soaps are handmade in the old world tradition with pure essential and/or fragrance oils. We use a high quality pomace olive oil as our base for the soaps, along with organic and food grade oils like coconut, sustainable palm, palm kernel, vegetable, sunflower, pomegranate, castor, and grape seed oils, organic cocoa and shea butters. We also use popular additives like goats milk and local organic honey. 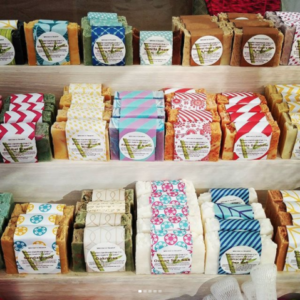 Our natural soaps are handmade in small batches by Karrie and Bill Troutt. 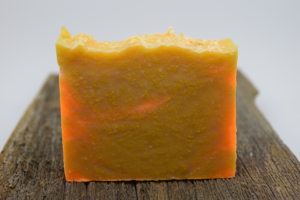 We make our soap completely from scratch using both cold process and hot process methods. Paradise Handmade Soaps starts with raw natural ingredients using recipes we created and tested since 2007.
toxic colorants. We research, hand select and weigh all of our ingredients to the precise gram for quality control. All of our soaps hand poured and hand cut by both of us giving our customers the best handmade soap ever. 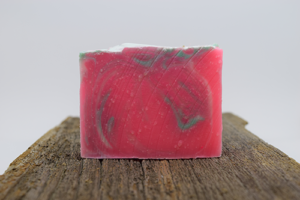 Due to the handmade nature of our soaps, color and design will slightly vary and no two bars are quite the same; they are just as unique as our customers! Quality is our number one priority and we use only the best ingredients in all of our products. When possible we buy local, otherwise we try to buy within the state of Florida. All of our products are made by Karrie and Bill Troutt, right here in Cape Coral, Southwest Florida. We love it and call it Paradise.